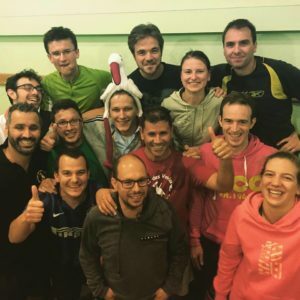 Everyone in the JSK Hockey Club is delighted to welcome new members, players passing through Strasbourg, old players wanting to take up the sport again, or even raw beginners curious to see how they go running with a stick. 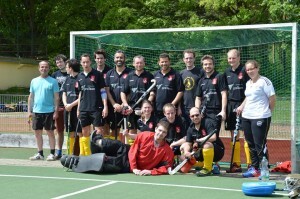 On this page, you will find all the necessary information about signing up to JSK Hockey Club. For more information, don’t hesitate to contact us. 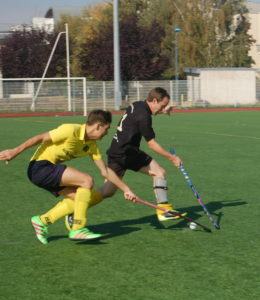 Don’t hesitate to come for a free introductory training session, or during a match to see or try field hockey! You can find below the required documents for your first subscription. They are to be handed to the trainer or a member of the Comittee during trainings, at the latest 2 weeks after your arrival in the club. In case of renewal of you membership, there is nothing to do except paying the fees. The medical certificate is valid 3 years if no health problem is declared in the health questionnaire below. Otherwise, the medical certificate is to be renewed every year. Payment can be made by cheque (addressed to JSK Hockey) or by bank transfer. The club can lend you a stick if necessary. The club provides jerseys and short/skirts for the matches.